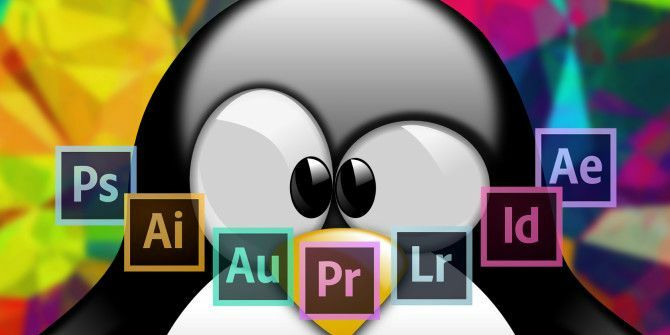 People have been asking Adobe to make Creative Suite available on Linux for several years now, but Adobe has been adamant about its answer: no. Why not? Most likely because the market share is too small to be worth the effort. But the demographic is there. The overlap between “Linux users” and “creative users” is larger than many of us would expect, and many of them have been dying for a Linux Creative Suite for years. The good news is that now, in 2016, viable options do exist. Between all of the Adobe Creative products Your Guide to Choosing the Right Adobe Product Your Guide to Choosing the Right Adobe Product When most people think of Adobe, they either think of Photoshop or Acrobat Reader. But the company has a plethora of other useful software packages that most people know nothing about. 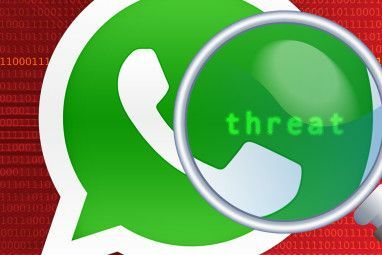 Read More currently available, most of them have usable Linux alternatives. And while you won’t be able to use the Creative Cloud mobile apps Should You Download Adobe's Creative Cloud Android Apps? Should You Download Adobe's Creative Cloud Android Apps? Watch us put Adobe's four Creative Cloud Android apps -- Capture, Photoshop, Lightroom, and Illustrator -- to the test. Read More with them, they’re still worth checking. “Photoshop alternatives for Linux” is unsurprisingly one of the most common search queries among first-time Linux users. And while GIMP was the go-to answer for many years, that’s kind of changing now. Not that there’s anything wrong with GIMP. In fact, as far as needing a “Photoshop clone” on Linux, there’s nothing better. GIMP is powerful and feature-rich straight out of the box, and can be improved with third-party plugins Better Than Photoshop? Make GIMP Even More Powerful With These Plugins Better Than Photoshop? Make GIMP Even More Powerful With These Plugins We all know that Photoshop is the premiere application for image and graphics manipulation. It simply does everything you could possibly want, which is the reason why most professionals choose it and why your wallet... Read More . So yes, even though GIMP has its flaws — such as the fact that it isn’t as intuitive or polished — it’s definitely the closest thing to Photoshop right now GIMP vs Photoshop: Which One Is Right for You? GIMP vs Photoshop: Which One Is Right for You? Photoshop is the most popular image editing app out there and GIMP is the best free alternative to it. Which should you use? Read More . But there’s another program out there that’s been turning heads over the past few years. It’s called Krita and users are slowly abandoning GIMP and flocking over to it instead 5 Photoshop Alternatives You Can Run on Linux 5 Photoshop Alternatives You Can Run on Linux it is tragic that after all these years, the open platform of Linux still has yet to produce competing software that can really match Photoshop head-to-head. But powerful options are available... Read More . Krita is primarily a tool for digital painters and artists, so it’s only a good alternative to Photoshop if that’s the kind of work you do. But for things like logos, drawings, and artwork, Krita is more user-friendly. If you’re a photographer, Photoshop may not actually be the best application for your needs — you might want to use Lightroom instead Photoshop or Lightroom: Which One Should You Use? Photoshop or Lightroom: Which One Should You Use? If you can gain access to both of them, we highly recommend it. But what if you could only choose one? Read More . Unfortunately, neither are available for Linux, but there is a light at the end of the tunnel. There are two free alternatives to Lightroom 15 Free Alternatives to Adobe Lightroom, Illustrator, and Photoshop 15 Free Alternatives to Adobe Lightroom, Illustrator, and Photoshop Would you like to get Adobe Photoshop, Lightroom, or Illustrator for free? Here are some of the best Creative Cloud alternatives. Read More that are actually quite good. Neither is objectively better than the other, so we’ll recommend both and leave it up to you to decide which one you like more. The first is Darktable, which is the most oft-recommended program among Linux photographers. The interface is complex but it turns out good results. It’s also relatively light on resource usage, so better for older computers and weaker hardware. The second is RawTherapee. The interface is simpler to learn and navigate, but lacks some features that you may need (such as selective editing with masks). RawTherapee is also slightly worse at managing large libraries with lots of photos. Compare the feature set for Darktable with the feature set for RawTherapee to help make your decision a bit easier. Not many free applications can be considered as good as their paid counterparts, but Inkscape is one of them. In fact, it’s one of the best free alternatives to paid software 14 Free & Open Source Alternatives For Paid Software 14 Free & Open Source Alternatives For Paid Software Don't waste money on software for personal use! Not only do free alternatives exist, they most likely offer all the features you need and may be easier and safer to use. Read More out there. No need to spend money here. Inkscape is what you should use if you want to create or edit vector graphics. Vector graphics are mathematical rather than pixel-based, so they can be printed at any resolution. They’re great for creating infographics The 5 Best Free Tools to Make Infographics Online The 5 Best Free Tools to Make Infographics Online If you want to make an infographic but don't have the design skills, here are the best free tools for making infographics online. Read More , for example. Although Inkscape suffers from a sub-par interface and lack of professional polish, it’s feature complete and certainly usable in a professional environment if needed. Professional video editing has often been seen as an activity best suited for Macs, and only in the past decade have viable options come to light on Windows. But for Linux? Video editing can be a pain. So if you can, we recommend paying for quality Linux software 7 Paid Linux App Alternatives That Are Worth the Money 7 Paid Linux App Alternatives That Are Worth the Money We all know Linux is a bastion of open source software, a platform flooded with free apps and programs. But there are also plenty of paid apps that you should take a look at. Read More . Lightworks is very good — it was used to edit The Wolf of Wall Street, Pulp Fiction, Hugo, and more — but it’s also a bit costly at $438 (or $25 per month). However, you do get what you pay for. Sure, Lightworks can be used for free, but there are restrictions. You can only export up to 720p and you lose a lot of quality-of-life features, such as timeline rendering, advanced project management, and Boris FX packages. The paid version unlocks everything and can export up to 4K. If you want a video editor that’s completely free but still as professional as possible, Kdenlive is your best option. It’s open source, actively developed, and packed full of advanced features. Animate is the program formerly known as Flash Pro, the vector animation program that was used in the past to create Flash animations. Now that the web has moved from Flash to HTML5, Adobe rebranded as Animate. Synfig has been the open source alternative to Adobe’s program since 2005, and is still the best choice for those who want to pursue 2D vector animation without handing over cash to Adobe. It’s free and in active development. Synfig uses its own animation file format, but can export to AVI, MPG, GIF, SVG, PNG, and more. 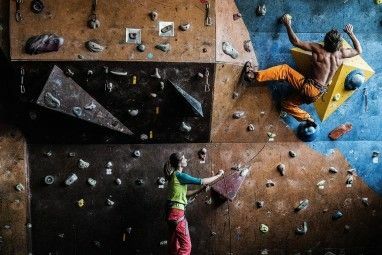 Despite the learning curve, you’ll be able to pick up the ropes quickly enough thanks to the user-contributed documentation and tutorials. Audition doesn’t get as much time in the limelight as Photoshop or Premiere Pro, but it’s a nifty piece of software that’s worthy of recognition. Formerly known as Cool Edit Pro, Audition is what you’d use to edit digital audio. Audition is a digital audio workstation in the same line as Logic Pro on OS X. From what I know, Audition is used mainly by professional podcasters How to Easily Record an Audio or Video Podcast on Linux How to Easily Record an Audio or Video Podcast on Linux Podcasting is a media-based activity, so Linux users might think that podcasting is best done on Windows or OS X. While true historically, it's a myth we're happy to dispel! Read More , but can be used for so much more, like recording and mixing your own music. Audacity is the go-to audio editor for most Linux users, but when Audacity isn’t enough, you should think about either Ardour or LMMS. Ardour is the best DAW available on Linux right now. Not only does it have a clean and usable interface, but it’s packed full of advanced features. Very good and highly recommended. It’s available for free but only produces audio up to 10 minutes long. You can unlock the full feature set by buying the full version, which has a “pay what you want” price tag. Seriously, you can buy it for as low as $1. LMMS, formerly known as Linux MultiMedia Studio, is another good option. This one is completely free but slightly inferior to Ardour. The interface is a bit harder to grasp and the learning curve is a bit steeper, but it’s still useful. Check out the LMMS Showcase to see examples of tracks that have been made with LMMS. I don’t know of many people who do desktop publishing on Linux, but if you need an alternative to Adobe InDesign, rest assured that such an alternative does exist. It’s called Scribus. Scribus can be used to create brochures, newsletters, posters, and even book layouts. It can also be used to create animated and interactive PDFs — the kind of stuff you’d expect from any desktop publishing program worth its salt. It does have a few downsides though, such as the fact it can’t import or export InDesign files. Also, it’s not entirely polished and free of bugs, which can prove frustrating for heavy users. If you absolutely need programs that are on par with Adobe, then save yourself the headache. 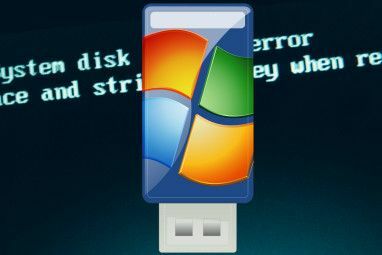 Run a copy of Windows alongside Linux What's the Best Way to Run Multiple Operating Systems on Your PC? What's the Best Way to Run Multiple Operating Systems on Your PC? Undecided between Windows and Linux? It's possible to run multiple OSes on a single machine either by dual booting or using a virtual machine. Let's find out which one is best for you. Read More (either in a virtual machine or in a dual-boot setup) and get the Creative Cloud applications. Do you do any creative work on Linux? Which programs do you prefer to use in place of Adobe’s Creative Cloud? Are there any we missed? Share with us down in the comments below! Explore more about: Adobe Illustrator, Adobe InDesign, Adobe Photoshop, Audacity, GIMP. Although this is true, alternative may not be "enough"
With a huge DB an various plugins and preset, supportin Lightroom on Linux could be a major alternative to windows indeed. Efforts for migrating a whole DB to darktable is not really "worth". Alternative for Dreamweaver on Linux. Is there any? Davinci resolve 14 by Blackmagic design for Premier pro. Fusion 8 again by Blackmagic design for After effects. Both have free versions which really have 99% functionality of the paid versions. Fusion 8 for after effect? crazy! Can you list a Linux alternative for After Effects? pro version obviously has more features, but free does most things. I've used Scribus for a couple of exhibitions as a volunteer, and for a picture book for a friend who wanted to self-publish. I agree the documentation is excellent, but as always with free software even an amateur like me (competent I hope) finds one or two show-stoppers. Here, it was the limited styling possibilities for the frames you put around text and image objects; the lines you create have to disposed symmetrically about the axis and they don't look good. Perhaps someone familiar with the comprehensive macro/programming environment facilities could write a solution - it would take me too long to do that. By the way, Scribus does have colour management. I don't understand much about the details, but the printshop in town found it adequate. I don't know to what extent that meets the needs of professionals. Concerning the other software I have tried (Gimp & Inkscape), I agree that they are frustrating for occasional users and I do retreat to Photoshop Elements on my Windows machine (when those dreadful W10 updates allow me to use it). Possibly a bit OT: I don't recommend Scribus for complicated text-intensive documents, specially ones with lots of references and cross-references. LibreOffice hasn't taken the right direction in my opinion and is currently rather quirky and unreliable. Fortunately, I'm familiar with LaTeX which is well worth learning if you need automatic professional quality typesetting. I've done a novel, and quite a few scientific papers. It really isn't as difficult as it looks, because of the huge amount of help on the web. Images and so on are handled of course. This should be a good alternative to some of the Adobe products I haven't seen. However, the colour management isn't quite up to the latest trends; last time I looked it could do only PDF-X/1. Video editing and colorgrading: Davinci Resolve! Blender is an excellent substitute for After Effects. Blender is a 3D focused modelling software but after effects focuses on a video and adding special effects to it. But it's different from premiere pro and its alternatives. You obviously don't know much about blender it's a video editor and nice compositor. It's more powerful and after effects for Motion Graphics and VFX. That being said for quick things after effects has a quick. The point being that the original comment was correct. no even close you can't compere blender with AE this are two different products and for different purpose, you can do some compositing in blender and you do have some very little possibility in AF on 3D. But that don't make AF 3D making Software and Blender Compositing software. You are correct. One cannot compare Blender to Ae,a as Blender is so much more. However, Blender does have a built-in NLVE and a compositor, and can do 2D graphics quite well. So, although they are designed for two different things, Blender can most certainly be used to do what Ae does. Please, rectify the article an remove the Ardour 1$ version. Ardour is TOTALLY free (as in freedom and as in beer) and you don't need to pay for use all its potential. No. Ardour.org wants payment for official compiled binaries. But it's free software, they do give the source away. On Linux, it's pretty easy to compile. But for MacOS X (and I expect Windows too), it's a real PITA. I pay for the binary. And I have to admit, it's a really good program. It's worth the payment. These aren't alternatives when Scribus doesn't handle prepress work well. Do you know about Bitwig Studio? It might be way better than Ardour, and is the closest to the legendary Ableton Live. I haven't heard of it, no. I'll check it out though! Thanks for the tip, TheSola. So essentially, Linux is still plagued by software compatibility issues, and instead of attracting the developers who matter most, "here are a bunch of alternatives!" No that's not really the point being made here but I guess you can read into it what you want to see. Yea, well it's kind of difficult to create comparable software to the Monopoly called adobe. Without licensing all of the technology that they've gobbled up through the years, developers are left with a much more difficult landscape. Considering how Adobe has treated their customers, demanding montly payments and for what? Not a single feature that would cause me want to upgrade from CS6. I consider it fraud. I use mainly Pixeluvo , it's a paid app around $30 but the UI is a lot better than GIMP even with less features it helps with my workflow with Darktable. It has less features but they're very good. Yep, Pixeluvo is good and there's another Linux alternative now in the form of Polarr. Yes, Pixeluvo is good and other photo processing software such as Polarr and Corel Aftershot Pro also come in Linux versions. VivaDesigner and PageStream for desktop publishing are available in Linux versions too. Similarly, good office suites for Linux are provided by Softmaker (paid and free) and WPS Office (free). The move to online apps, like Pixlr, is also helping Linux. Am sorry to write this but adobe products nothing can change, those are very good and professional programs and they get better and better, basic user can be satisfy with alternatives but pro's stick to mac or windows (for what i have saw most users who work creative jobs stick to mac). Am not using pro tools, am noob so this satisfy my need to do something "quickly". Linux is only "behind" because major companies dont make programs and games for him. Yeah, when you get to a professional level, sometimes it's just easier to go with industry standards. That's one case where the Creative Cloud can really shine. Thanks John! Pros don't have to stick to Mac or Windows. I am a Linux user and have been exclusively for almost a decade. I created a workaround so that my Photoshop and other Adobe tools are stored inside of a Windows Virtual Machine. This has served me well for years and I never really have any drawbacks in fact there are dozens of benefits in doing this like the ability to save my work as well as create snapshot saves of my Photoshop environment. Hey, Michael! Can you explain how to do that or suggest a link that explains it well? Thank you! I'm BEYOND tired of Windows. I'd like to be done with it completely but, alas, I need Adobe because I'm a photographer. Is there any alternative to Adobe After Effect for Linux? I looked around for one but did not find anything comparable. Then again, I don't have too much experience doing video post-production so maybe that's just my inexperience showing through. Sorry I couldn't help, Hilmy. have a look at natron , free video compositor . Not an 1:1 replacement. Nuke (paid) and natrron can do the compositing part very well or may be better. But their workflow is totally different from After Effect. Blender can be used too kinda. I've been following Inkscape for years, and you're right: the interface is awful. I've learned to deal with it when I need to, but I still run into one major problem that won't be solved any time soon (if ever): Inkscape has no support for Pantone colors. In a professional printing environment, working with client's brand guidelines every day, having access to a Pantone color library is essential. The other concern is simply that everyone else is using Illustrator. Inkscape can open Illustrator files, but it's still far from perfect. I'm opening files that come from other designers on a daily basis. I've got to know that what I'm seeing is correct. I hope the issues are resolved someday. I'd love to have more freedom in what software to use (and not need to pay monthly subscription fees to get the latest version). Very valuable article, as usual for MUO. :) I personally use GIMP and Inkscape a lot and I consider myself an advanced user. Nevertheless, sometimes you just want a quick'n'dirty solution to get a social picture quickly. In that case, I use either Pablo or Canva. They are web apps and both free (Canva also offers the chance to buy pictures and assets, but it is not mandatory). I really hope you can help me. I've downloaded a drawing app on my iPad that I use to be in love with, it was awesome, gave me what I needed, very organized, was thrilled about it. I've went to the App Store to update it, thinking there be better improvements and the new version of this app no longer has the drawing tools & other features that was on the previous version. i am very upset about this. I would like to know if there is a way to restore the current version of this app to the previous version. Please, please help me. Very nice article. I draw and paint quite a bit on Linux and notice linux versions are always much faster than their windows counterpart. I use Krita. I would be interested why companies choose windows over linux. The reason why so many people choose windows is because that is what their employer uses...or what they teach in school. Businesses choose Windows because of domain lockdowns they can enact in their Active Directory domains, and because Windows is more polished, has better drivers, and has a huge userbase to draw on for fixes. Inkscape would really benefit from CMYK support, I love it otherwise. I rarely work with CMYK so I did not know that Inkscape lacked it. Good to know. Thanks Kristijan. I have Xubuntu on an old Acer Netbook in which I installed a SSD after hard drive failure. There are so many fantastic offerings with Linux. I am in a similar position to Alan with Windows but I think there will come a day, for me, when Linux will be the only platform. Great and valuable article, many thanks. Kind regards to all. For your kind information LMMS is equivalent to Fruity Loops and not Adobe Audition. Ardour has advanced features only in the PAID version. Both Lightworks and Ardour (PAID versions) are expensive from where I come (INDIA). Have another look at the Ardour download page. Only the subscribed version is "pay-by-the-month". You get the full static version (no updates) for at least a $1. Can't beat that price. Ardour is open source. So in theory, you can build it from source. Actually, some distro like KXStudio and AV Linux come with it by default. It is available in most distro's repo. So you can use it free in Linux desktop. @Alan: If I may, might I recommend that you try Linux Mint? in either the MATE or Cinnamon desktop configuration. Either one should treat you right. As for running Windows after installing Linux Mint you'll want to go to its Software Manager and type in VirtualBox, and install that, then you can run Windows in a "sandboxed" environment securely "removed" from your Linux OS while still being readily available at a moment's notice. Try it....it could be just what you need!...enjoy! Thank you for this info-rich article. It has motivated me to move forward with a Linux distro... likely some flavor of Ubuntu. I have fired Microsoft for all its software except OS... my 2010 laptop runs Win 7... and with the MS's RUDE and invasive practice to force Win 10 installation (which I have successfully terminated)... so I am now really mentally ready to consider some configuration and distro of Ubuntu to start the transition on this laptop. I will be using many Win SEO type applications... so most likely I will be forced to retain a working Win OS in some configuration. Can you offer any recommendations? Glad you liked the article, Alan. Have you ever used Linux before? The most common recommendations for newbies are Ubuntu (or a variant) and Linux Mint. Linux Mint is actually quite good and many consider it better than Ubuntu, so maybe you can start with that one. I haven't used Adobe products in years. Richer and happier. The products have always had good features they are just bug ridden, slow and too expensive to have on multiple computers. They can be slow, yeah. If you don't have a top-of-the-line machine, the lag can be frustrating. Nice to know you're using the alternatives and actually happy doing so. Thanks for sharing, That1guy!